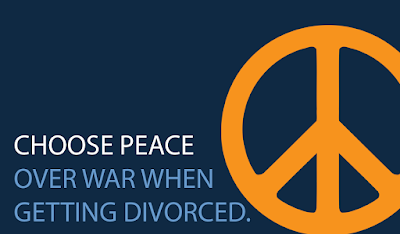 Skylark Blog: Post-Divorce Problems: My Children Aren't Safe with my Ex! Post-Divorce Problems: My Children Aren't Safe with my Ex! As described in our previous post, Should my Child Support Change?, there are two types of court orders which always merge into the Judgment, meaning they can be modified if there is a material and significant change in circumstances: child custody and child support. The Court retains jurisdiction over provisions relating to child custody and visitation to protect the children. For example, in the event one party becomes unfit to parent the children it would be detrimental to the children to have that provision survive and be unchangeable. This means that if there is a change in circumstances which has caused your children to be put in an unsafe situation, you can bring that change to the court’s attention and potentially obtain a change in the custody and parenting plan orders. If the change is an emergency situation, then you can request that the court immediately transfer custody or limit parenting rights by filing an Emergency Motion along with an Emergency Affidavit. In order to make a change on an Emergency Motion the emergency must be significant enough for the court to make a change without the opportunity for the other party to be heard. Usually an order after an Emergency hearing will only last for a few days until the other party can attend a hearing and tell their side of the story. Some examples of significant enough events to constitute an emergency are a parent abusing the child, taking illegal substances, being admitted to a psychiatric facility, or being arrested on a charge that would affect their parenting fitness. Of course, if you are witnessing an immediate threat to your child’s safety then you should immediately call the police. Courts can only change orders, which are just pieces of paper. Pieces of paper don’t protect your children without proper enforcement.